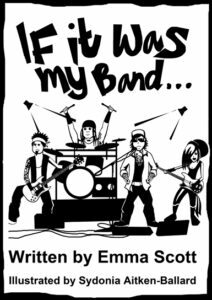 ‘If It Was My Band…’ is a great new independently published book offering sound advice to musicians on how to succeed in making a living out of music. 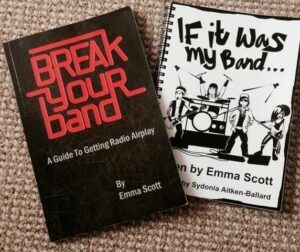 Written by broadcaster, live promoter and radio plugger Emma Scott, the content touches on her 20+ years’ experience of working with bands and is the follow-up to her first book ‘Break Your Band – A Guide to Getting Radio Airplay’. 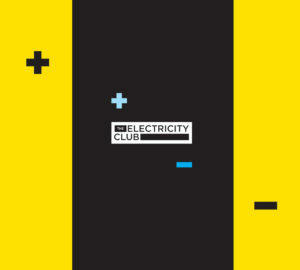 Little did The Electricity Club know that when it wrote the semi-satirical ‘Carry On Synthpop’ piece ‘TEC’s RULES OF BEING A MUSICIAN OR DJ’, that an expert within the music industry would be largely singing from the same song sheet. ‘If It Was My Band…’ is an entertaining and informative read that anyone who is even remotely interested in the music business can’t do without. 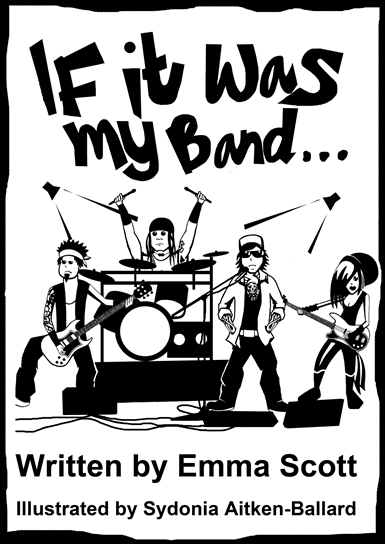 Authored in an informal, good natured and good humoured style, by following Emma Scott’s very straightforward and often common sense guidance, bands could turn their hobby into something more sustainable and even lucrative. 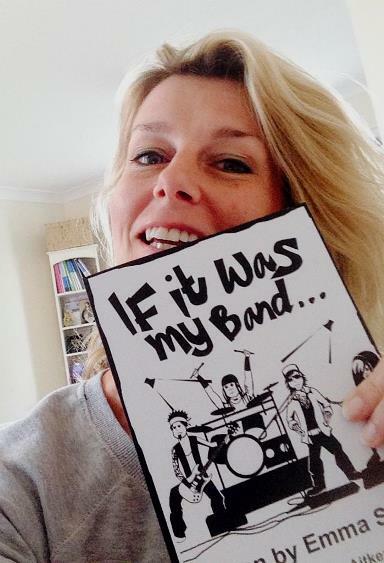 What motivated you to write ‘If It Was My Band…’? 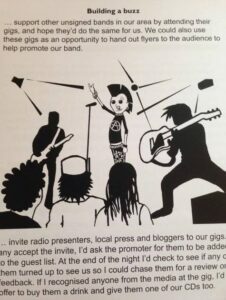 The same things that motivated me to write my first book ‘Break Your Band – A Guide to Getting Radio Airplay’ and those things are a multitude of mistakes and misunderstandings coming from misguided musicians – who are often brilliant at making music, but have no idea about the music industry. Actually, come to think of it, some musicians I’ve had dealings with aren’t even good at the music stuff… so there’s a few paragraphs in there for them too. As mentioned before, being a great musician doesn’t mean your music is going to fall into someone’s lap and they’re going to sign you up and make you a big star – there’s a lot that happens from point A in getting to point B. 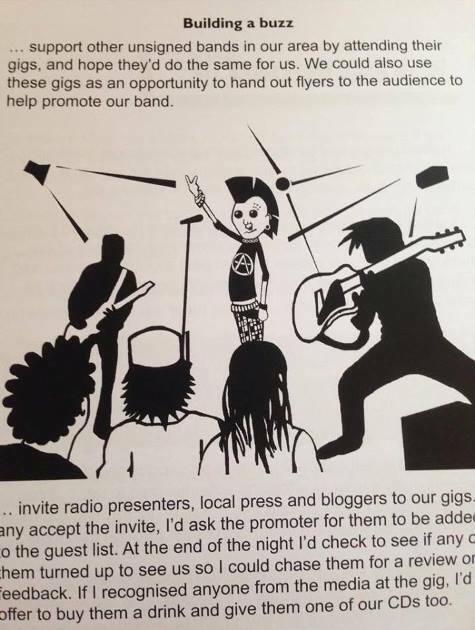 Most of the musicians that approach me in my role as a promoter, radio presenter or plugger want to be a success with their music, and whilst there are people like me giving out years and years of experience in books and blogs – they’d be silly to ignore it. If you want to succeed in the music industry, why wouldn’t you want to learn about how the business works – including how radio playlisting works, how gig promoters work and how you make money from the music you write – If information is there to help you save money as well as make money from your music – grab it with both hands. A couple of years ago, I wanted to run a shabby furniture store, and I knew I had to get advice on everything – from setting up, to going to auctions, to up-cycling / painting etc – so I bought books and I read everything I could have read about setting up and running a shop. It was by reading these books and getting advice from as many other shop owners as I could that I realised the shop I was going to rent was completely unsuitable and it wouldn’t have succeeded – so I got the hell out. If I’d signed a 5 year lease, I’d still be paying for a damp empty shop now. If the information is out there which will help you – take it. You might just learn something from it. You mention CDs, private streaming and free downloads as tools for promoting the actual music. But I noticed you didn’t mention Spotify. I personally think it’s not an ideal publicity platform and I’ve yet to be sent a pre-release Spotify promo. Have you any thoughts on this? In my role as radio presenter, plugger and gig promoter I’ve not been involved in Spotify too much at all, but I know that Spotify is a great promotional tool for bands and musicians who are active on it and understand how it can work for them. It’s a great tool as well as other social media sites like Twitter, Facebook, Reverbnation and Soundcloud. I got the impression from the book that you weren’t particularly into vinyl? 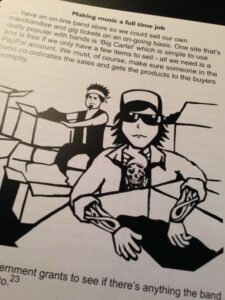 Everything in the book was written from either a business point of view, or my own point of view and I know that during my time with an independent record label, we tried a few times to make vinyl releases work and they didn’t. It’s expensive for labels to manufacture and expensive to post out to customers and we found that whilst fans asked bands to “get their next release on vinyl”, only a very small percentage actually put their hands in their pockets to buy it. That said, if a band were gigging regularly and displayed their vinyl on the merchandise table, they could shift more copies and wouldn’t have to worry about the postage costs. Costwise – if you can get 500 jewel case 8 page CDs made up for £650.00, you’d be talking £1700 + VAT for the 12 inch vinyl equivalent. That’s a lot of sales needed to claw back that cost and for a small independent label, that’s a lot of money. Personally, I love vinyl and I still have my record collection carefully boxed up awaiting the time I own a record player again. I’ve been sent a 20 minute track by a band as an introduction to their music, while another linked me to a video of a gig badly filmed on one camera at a kid’s birthday party. Then, there’s also those emails with streaming links but no real information. What has been the most misinformed way a band has tried to get your attention? I’ve had similar instances of the 20 minute track and the badly recorded “live gig footage” which is useless to me as I can’t hear anything over the distortion… and I’ve had 4 word gig applications come through my websites. I’m sorry but “give us a gig” doesn’t cut it! I’ve also been told I should plug a band’s music to radio for free as I should want to be able to say I was there at the beginning! Yeah, right. I usually write back to them and tell them to buy my book to get educated in the art of applying for gigs or dealing with industry people – but I don’t get a reply! Most bands think they know it all. I know that’s not true. I deal with them 7 days a week and have been doing so for over 25 years. With the internet, there have been some inventive spellings for new band names like CHVRCHES, EKKOES and TIKKLE ME to increase Google search reach. How important is it to come up with a good and unique name? And what would you suggest to a musician whose real name is the same as an already famous pop star (if spelt slightly differently! ); should they stick to their guns as it is their name, or go under a different moniker to avoid misleading potential audiences. It’s very important to come up with a unique name because there’s nothing worse than building up some momentum on the music scene and then out of the woodwork comes along another band with the same name as yours – threatening you with court action to change it. I’ve also known of bands to release material on iTunes and then discover there’s another band of a similar sound and with the same name on the same distribution site. There’s a big chance that the other band may pick up accidental downloads from people that specifically went on to buy their music. Silly really… and if the band got signed to a label, that label would make you change your name anyway. I’m confused about TIKKLE ME as if you didn’t know it was spelt with 2 Ks, you’d search for “Tickle me” and what does a Google search reveal as the top suggestions? A type of Durex condom, a restaurant, an Elvis film and maybe a few Tickle Me Elmo toys! For EKKOES – again, if I didn’t know it was spelt with 2 Ks (ie I’d heard them played on the radio) I’d search for “Echoes band”… and that search would give me another band called ECHOES who are active and have just released new material. As for sharing the same name as an already famous person. I’d steer clear, personally. There have been a few artists promoting their own music who have used social media ID that bears no resemblance to the name of their act! Should things like email addresses, Twitter handles, Facebook page profiles etc always identify closely to the ‘brand’? Getting the right handles and URLs on social media is very important. Industry people and fans alike need to be able to find you quickly. Don’t make it too hard for them. Don’t make it too hard for you! Always try and have the artist or band name in the social media ID – using the word “band” or “official” or a dash or an underscore should help you obtain the right name. When I set up my Twitter, EmmaScott had already been taken, so I had to choose emma_scott – if I had chosen “EmmaTheDJ” or something similar, I’d have come unstuck as I’m not a DJ right now – but also, people wouldn’t search for me under that name / alias. If someone wants to find me, they’ll search all variations of Emma Scott… I just Googled “Emma Scott Twitter” and I’m the second suggestion on the first page. Basically, I’m easy to find… and follow! There’s that issue of whoever in the band is looking after the Twitter account, talking about something personal or political that does not necessarily speak for rest of the group. Why is it so important to separate music and personal matters with a band’s public profile? Band stuff is band stuff…. personal stuff is personal. I don’t wanna scroll through timelines of bands I’m looking at for gigs or plugging and be bombarded by football scores and moaning about penalty shoot-outs etc! I want to know when the band are playing live next and when I can buy their next album and their opinion on all things musical…. I don’t want to see them getting involved in “who killed Lucy bloody Beale?”! I had a musician say to me the other day that they didn’t bother using their artist Facebook page for a particular news item, that was the biggest bit of press coverage they had ever received, as they didn’t have as many likes there as on their Twitter account. Incidentally, they didn’t update their website for this news item either. Why is it important for bands to use all their social media avenues? It’s a no-brainer and I hear that all the time too. Be on everything. Some industry people and music consumers like Twitter best and will research bands on Twitter. Others hate Twitter and only like looking at bands on Facebook, Spotify or Soundcloud. Musicians need to be on all of them. Musicians must update all of them. It’s not about your preferred social media site – it’s about pleasing everyone else and making yourself accessible to as many people as possible. Is making a music video essential these days? It would seem the format is making a resurgence now that it appears YouTube has become one of the main music platforms? Yes, I think so. It doesn’t have to be a costly affair these days – and I agree if you’re releasing a single, you should at least try and get a video made to coincide with the release. Even if you can’t get a video made, get the song on your YouTube channel as a lyric video or one of those simple photo collage videos. You want your music “out there” right? I’ve been aggressively confronted by a musician in a pub for not featuring their music on The Electricity Club. Has that sort of thing ever happened to you? How should musicians conduct themselves, especially to people who perhaps haven’t got into their music yet, but could do in the future? How the hell is that sort of behaviour acceptable?! It’s not. In any walk of life! Basically musicians need to remember, they’re humans. They need to remember that promoters, band managers, record label owners and DJs are humans too. Humans should always be nice to other humans. End of. Manners go a long way in this business. In any business, in fact. Being a musician doesn’t mean you get to be an a*sehole to whoever you want. Should bands go as far as assigning roles where the less socially adept members keep their mouths shut, while the more competent speakers do the smoozing and networking? Play to your strengths, give everyone their own role in the band. Don’t put band members in situations that will make them unhappy. That’s not why they’re in the band and won’t make them want to stay. These days, band interviews are more commonly done online. What do you think are the pros and cons of this? And if there are more than one member involved in the answers, should the answers be re-edited to form ‘a single voice’ for the band? If bands are being plugged to radio, they will still be asked to do phone and face-to-face interviews, but with online press, yes – a lot is done via email or IMs. Just take it in turns answering questions and give the band member’s name next to the reply… so it’s obvious who’s answering. Online interviews give you chance to think about what you want to say and can be done at a time to suit the person. A lot of musicians work full-time in other jobs, so it’s not easy to take time out for a phone interview or a radio interview in a studio… and answering on line interviews means you can show off your new band photos that you’ve had done. You have nice photos, right?? Occasionally, a band gets a shot at a live local radio interview. What guidance would you give here? Be armed with as much info as possible – from the basics like the station address, the DJs name and details of the show that you’ll be on. Once you’ve arrived at the station and met the DJ, feel free to ask what kind of questions they’ll be asking to try and put your mind at rest. Most DJs have notes about what they’re going to ask you. Just be yourself, say it with a smile, enthuse about your music, get the plugs in and get the hell out! Make sure you say thanks, too! There is a lot of talk in the book about doing things for free, be it as a band, or getting help from photographers or family / friends as management and PR. Is that just how it is now or in your opinion, has it always been like that in the music industry? I’m sure freebies occur in other businesses too. Just remember a freebie isn’t a bad thing if you can get something out of it ie – playing a gig for free – if you know it will be busy and you can sell merchandise there… or if you’re a photographer and a band wants you to do their photos for free – if you feel that your photos of them will open other doors for you, then it’s in your best interest to do them. We’re talking grass roots level here…. and freebies are everywhere as you climb your way up. I used to do radio shows for free. I wanted to do as many live shows as possible to make my demo to apply for a full time radio show. It worked out for me. When you’ve climbed a few more rungs of the ladder, you won’t be expected to play for free. But if the organisers of the Superbowl ask you to play for free, make sure you bite their hands off, yeah? So how important is it for a band to have some good quality photographs taken, and taken regularly? What would you say to those who think the visual image doesn’t matter and that it should be all about the music? Ha, I already mentioned that. Great minds think alike. Regular photos are important. Even better, put some thought into your session because the better quality stand-out photos will more than likely grab the attention of bloggers, editors, gig promoters, managers etc… than just a run of the mill “I’m gonna sit on this sofa and have my photos taken” photos. It’s never JUST about the music – ever! It’s about the full package… plus a whole load of contacts, blood, sweat and tears – and maybe just a splattering of good, old fashioned LUCK. The book does have a bias towards the more rock / indie / acoustic end of the music spectrum. But is there any particular advice you would offer to synth based and electronic acts? Do you think? I’ve never really thought that, but that’s fine. 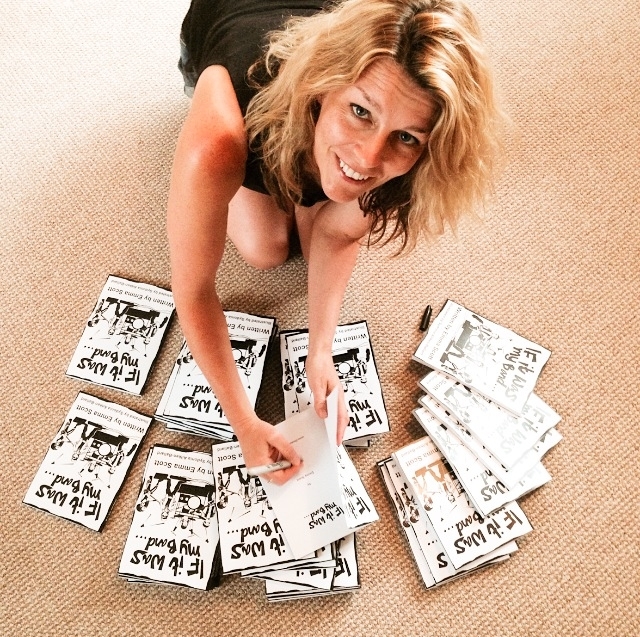 The book was written from the heart and my own dealings with musicians and with my time at Kerrang! Radio, I’ve tended to attract those genres, so that’s maybe where that comes from. I think the book would help any genre of “band” though and for synth-based and electronic acts I’d say that the book is still completely relevant as I’m basically giving everyone advice on the music industry and help navigating your way through the maze! There are radio shows out there for synth and electronic acts, there are gig promoters out there that are gagging to book you – it’s just a matter of finding them. What next for you? How are things progressing with your new company Pluggin’ Baby? What should a band do if they are interested in your services? Pluggin Baby is doing really well right now and if anyone is interested in getting radio play, please have a look at the website – http://plugginbaby.com and get in touch for more info.